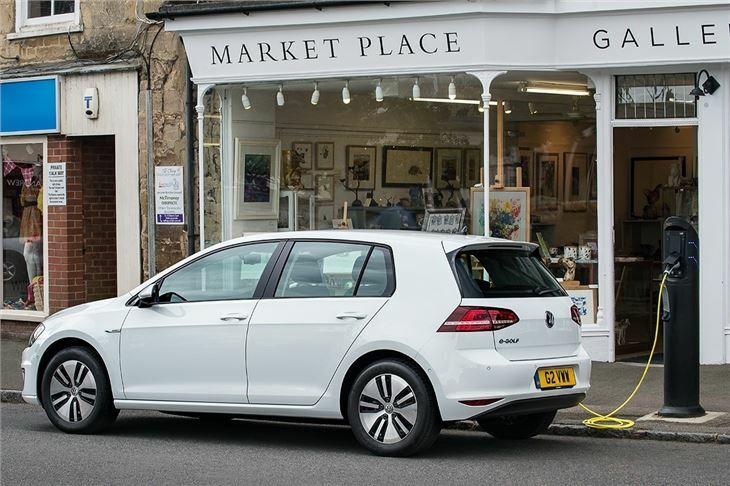 If you ask Average Joe to name a hatchback there’s a good chance he or she will say “Volkswagen Golf.” It’s a vehicle everyone is familiar with – so what could be better to raise awareness of electric vehicles than an electric version? 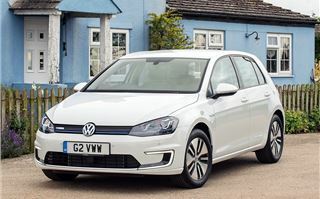 Powered by a 115PS electric motor and capable of travelling just shy of 120 miles on a full charge - yet otherwise ostensibly ‘just’ a Golf - it’s a car most people will be able to imagine owning. 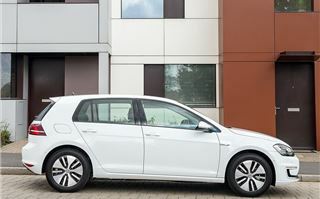 Using a wall mounted charging box - which you can currently have installed for free at your home - it’s possible to charge the e-Golf from full to empty in eight hours. It’s unlikely you’ll ever completely deplete the battery, though, so bet on shorter charging times in reality. The cost to charge very much depends on your supplier but it should be less than £4 to go from empty to full. Not only is it cheap to charge but it’s cheap to run – there’s no annual VED to pay, plus you can get into the London congestion zone for free, where you’ll probably find a dedicated electric car parking space with a charging point for a top up. 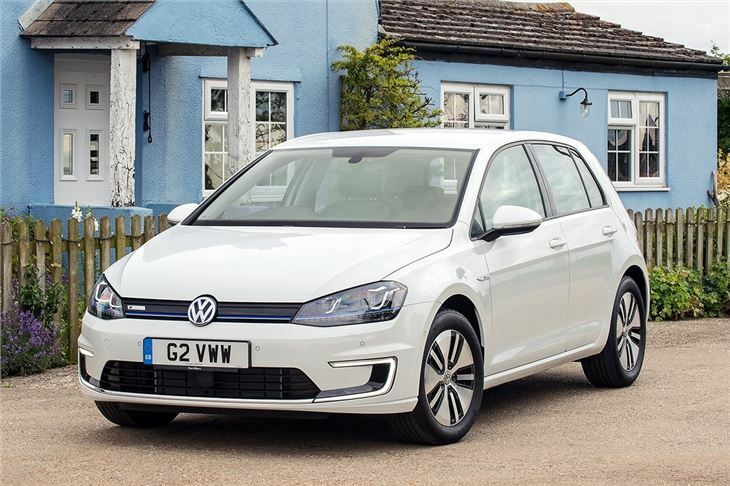 Unfortunately longer trips are out of the question, unless you’re prepared to stop a lot to recharge – but for commuting the e-Golf makes sense. That’s not least because it’s so good to drive. 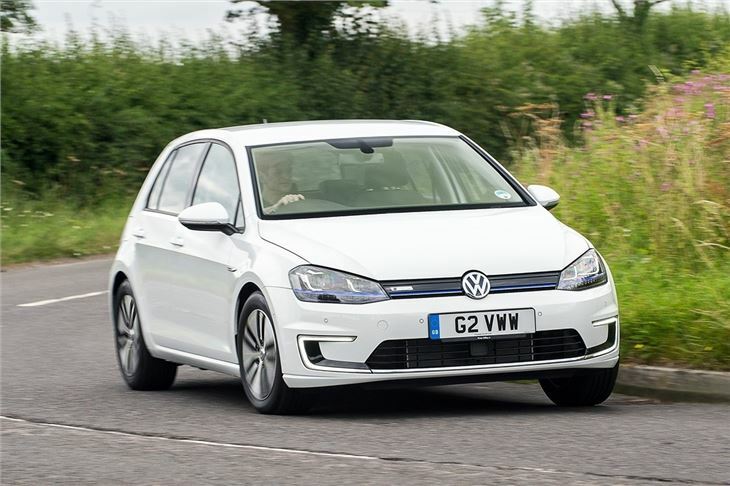 The on-paper figures show peak power of 115PS and peak torque of 270Nm, which is about on par with a decent 1.6-litre diesel engine, but that doesn’t give a clear picture – the e-Golf feels significantly quicker than you’d expect. 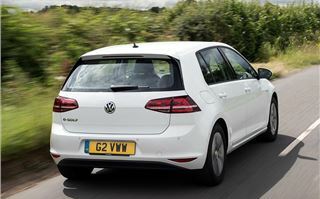 That’s because the electric motor produces peak torque from a standstill, meaning acceleration away from the lights is excellent, helped further by the smooth single-speed transmission. 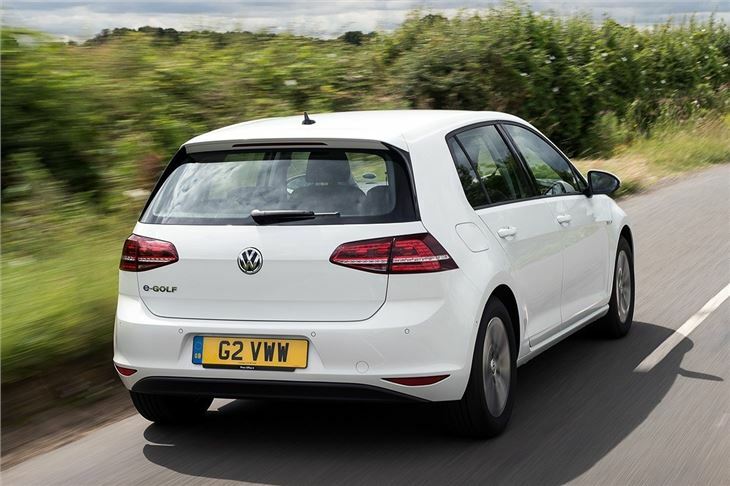 The e-Golf simply whirs quietly and propels you up to speed in a seamless fashion. Up to 30mph it is far faster than its 115PS power output would suggest, but performance does tail off a little as speed builds. 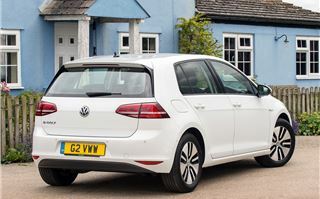 Driving the e-Golf is as easy as driving any automatic Golf, except it’s significantly quieter, with a faint amount of tyre and wind noise only just breaking the silence. 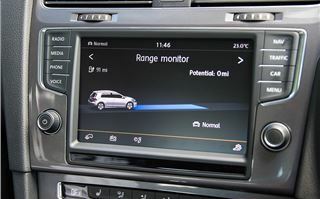 There are a few driving modes to get to grips with – you can select normal, eco or eco+ settings, which change the air conditioning settings, torque output, power output and maximum speed, to as little as 56mph in Eco+ mode, or up to 87mph in Normal. The Normal setting is what you'll want on an open road, while the Eco modes suit town driving. 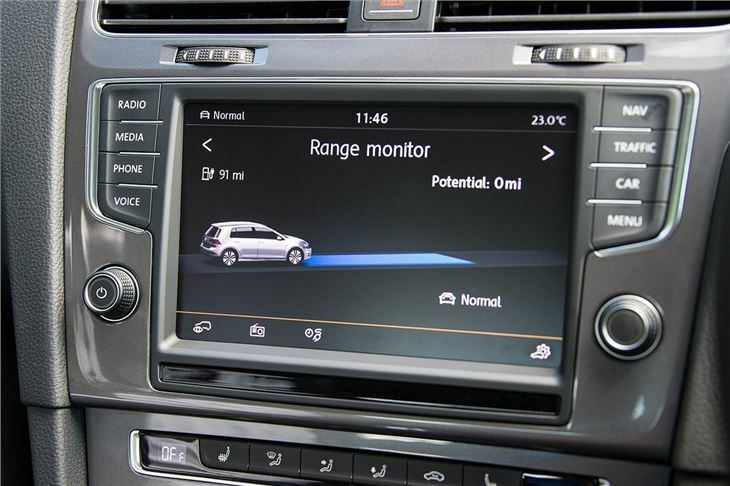 You can also select from four levels of regenerative braking by moving the gear selector left or right. In D mode the car coasts along without any regenerative braking, which is great on the motorway. There are also D1, D2, D3 and B modes, each with a little more braking effect. In B mode it’s often completely unnecessary to use the brake at all unless you want to come to a complete stop. Effectively the friction of the motor does all of the braking for you. The system even shows the brake lights if deceleration is strong enough. Meanwhile all the energy recuperated goes back into the battery, which helps with the maximum range. 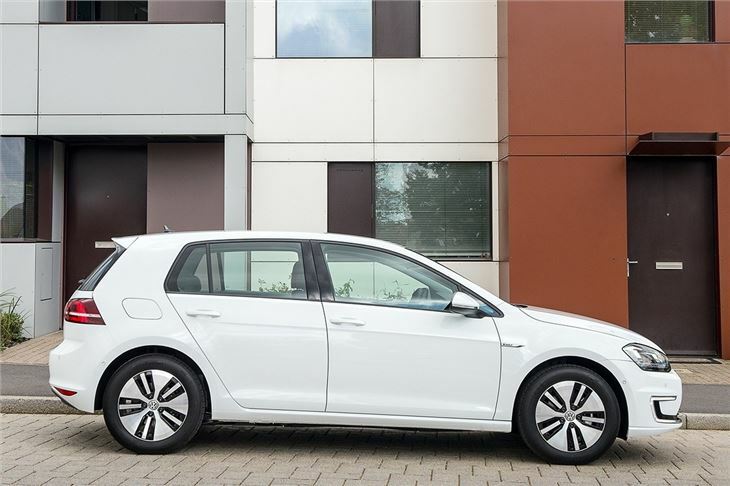 Aside from the electric powertrain and regenerative braking system, the e-Golf drives exactly like any other Golf. 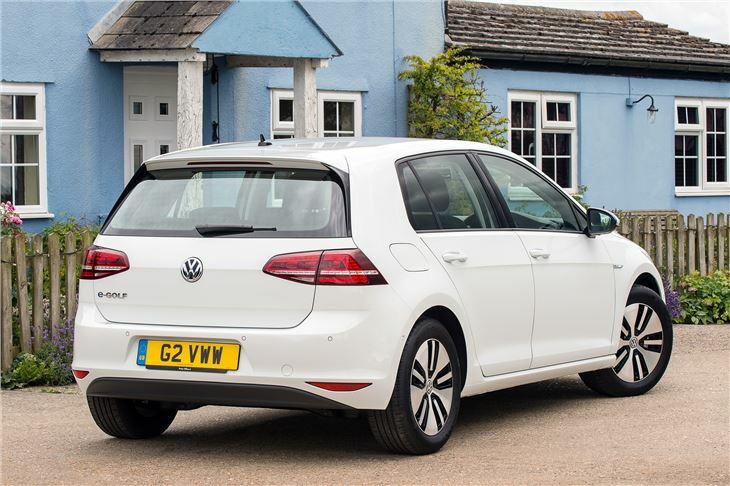 It’s smooth, relaxed and quiet, with nicely weighted steering and a well-judged ride. Lumps and bumps are dealt with smoothly, but the handling remains predictable, with little body roll and plenty of grip, despite high-profile, low-rolling resistance tyres. 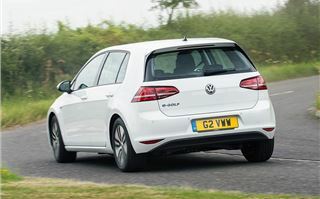 It’s arguably better than a fossil-fuelled Golf, though, because it’s that much smoother and quieter. The e-Golf is based on a Match specification, but it has a few unique touches like a blue stripe across the grille, blue interior stitching, a power usage meter in place of a rev counter and aerodynamic 16-inch alloy wheels. 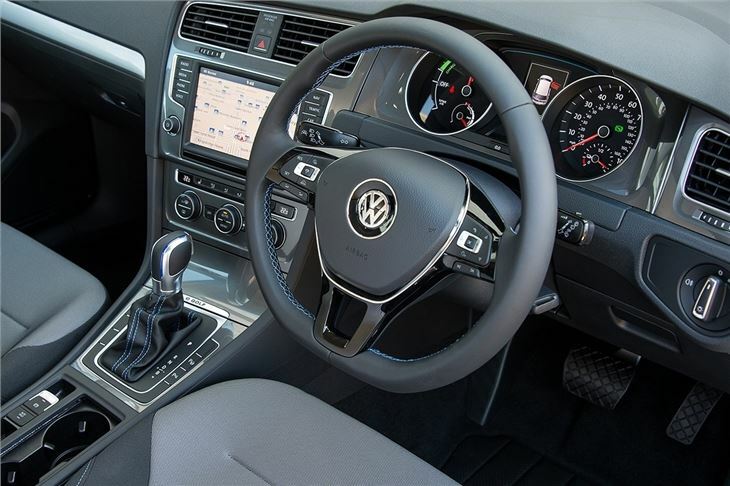 Standard gear is generous, with adaptive cruise control, collision-mitigating brakes, dual-zone climate control, DAB radio and a large, intuitive and clear touch-screen navigation system. 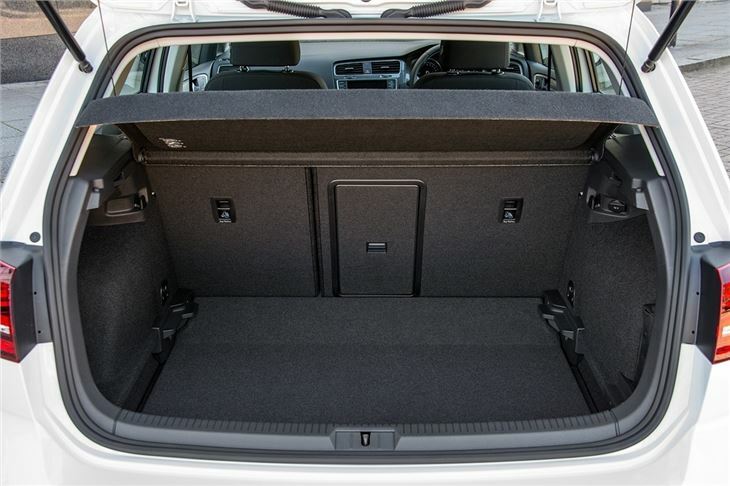 Practicality is exactly the same as an everyday Golf – the battery lives under the floor of the car, which means boot space isn’t compromised at 380 litres, plus there is more than enough room in the back for adults to sit comfortably. 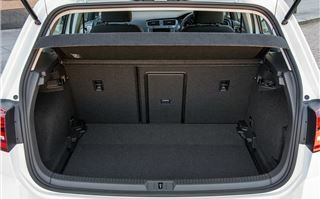 Quality is excellent – the interior materials are plush, while everything feels solid and durable, even the lower-down plastics that are often neglected by car manufacturers. 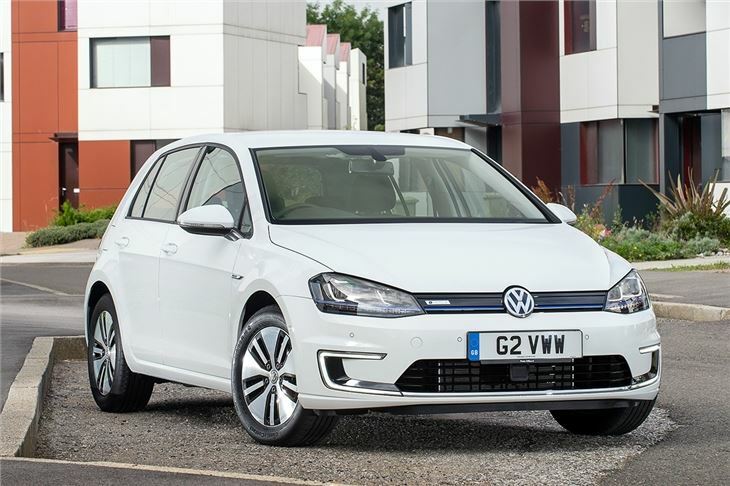 You really get quite an impressive package with the e-Golf – but you do have to pay for it. 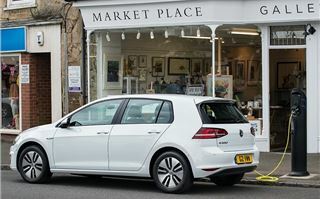 The list price is £30,845, though you’ll get £5000 off thanks to the Government greener vehicle discount. 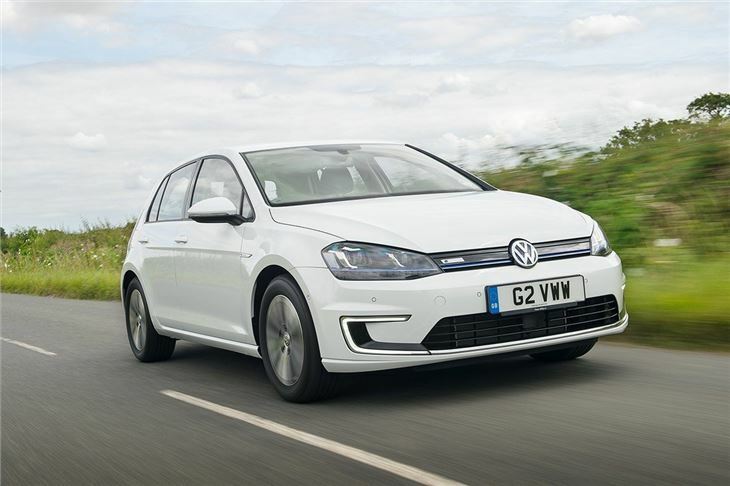 That means it’s ever so slightly more expensive than a BMW i3, which was designed from the outset to be an electric car and is more enjoyable to drive, thanks to sharper handling and more power. 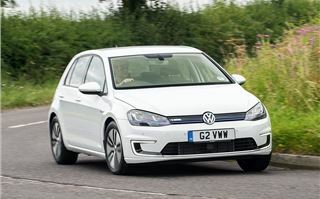 But the BMW is more radically styled, less practical and has a lower maximum range than the e-Golf. 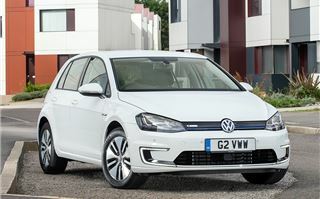 For those who want an environmentally friendly car with all the running cost benefits, but who don’t want something radical like a Nissan Leaf or a BWW i3, the e-Golf fits the bill perfectly. It’s exactly like the car you’re used to driving everyday – it just happens to be electric.